Vintage weddings combine the love of the something old tradition with the glamour and sophistication of times long past. Wedding invitations need to reflect the theme of the wedding. 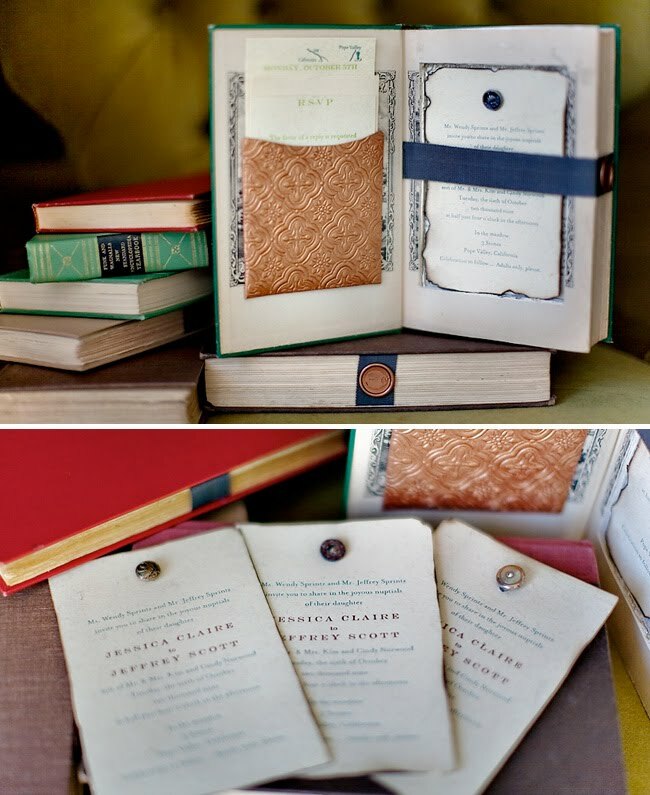 There are certain qualities and designs to look for when choosing vintage wedding invitations. Vintage themed weddings are warm and elegant, making them desirable. The theme allows the couple and their guests to escape from the modern world and spend a night in another era. Vintage is also often associated with high quality items. Vintage weddings take the most beautiful and unique items from certain eras and breathe new life into them. The theme of the invitation, and therefore the wedding, is the first thing to consider. When guests receive an invitation, it is a hint of what to expect at the wedding. 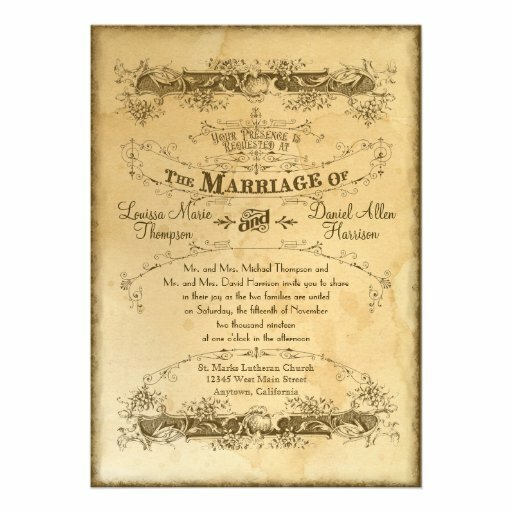 Therefore, if the wedding has a vintage theme, then the invitation needs to reflect that in style, design, and quality of paper and printing. 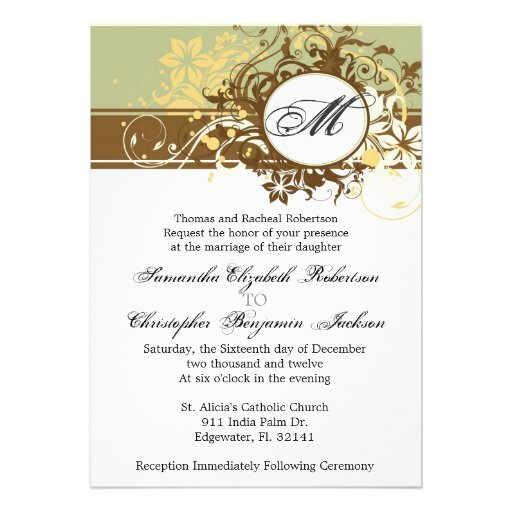 Vintage invitations should have a classic vintage look. Paper that is cream coloured, or that has a faded colour design, is a good choice. Ragged edges and antique printing and font will look gorgeous with the backdrop of the wedding theme. There are many different design inspirations for vintage style invitations. Silhouette stationery is a popular option. The couple's heads are silhouetted on the front of the invitation or save the date with a plus sign silhouette in between them. These can be printed onto faded colour kraft paper. 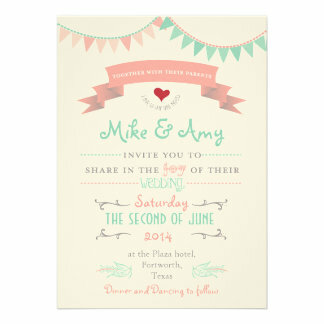 One of the most simple invitations to choose that is vintage is a classic style with vintage elements. Emblazon the top with a classic monogram style inside a vintage oval. Branches and roses should extend out from the monogram. The wording of the invitation should be classic with an old time block letter font. The names of the couple should be in elaborate cursive, however. The border of the invitation should be thin lined and mimic the branch and rose style from the monogram. Colour should be a faded shade of red, blue, purple, green, brown, or black. The envelope should be addressed in callipraphy that mirrors the font used for the couple's names. The stationery should feature free flowing calligraphy with these kinds of wedding invitations and save the dates. Make sure the calligraphy is still legible. To add an extra vintage touch, use old-timey stamps instead of the regular wedding stamps. Invitations can also be more in depth. Choose a small, illustrated booklet that is tied with twine and a vintage heart charm. The booklet should use a rough, thick paper. This booklet will beautifully depict all the information about the wedding, along with facts about the couple. This will show guests the attention to detail that will be expected at the wedding. Choosing an invitation with the information engraved in thick cardstock will have a great vintage effect for a big and expensive wedding. In the past, the largest and best parties always sent out engraved invitations. This showed the extra touch of elegance that guest would expect at the parties. A vintage chalkboard look is also a popular choice. Chalkboards were a common form of advertising in the past. Creating an invitation with a vintage chalkboard font and simple floral designs in a pastel colour would accent a vintage themed wedding nicely. There are many other designs that create a great, vintage feel. A birdcage design for wedding stationery is a great vintage look. This will show either an empty birdcage or a birdcage with lovebirds in it. The font will mimic that bold typeface from an old manual typewriter for the best vintage feel. Paper should have a faded with age appearance. Other great designs for vintage wedding invitations include a knot and price tag designed. Bunting flags in carnival colours are for a fun, vintage wedding. Elegant weddings can go with a striped look in pink and black for a Paris vintage feel.